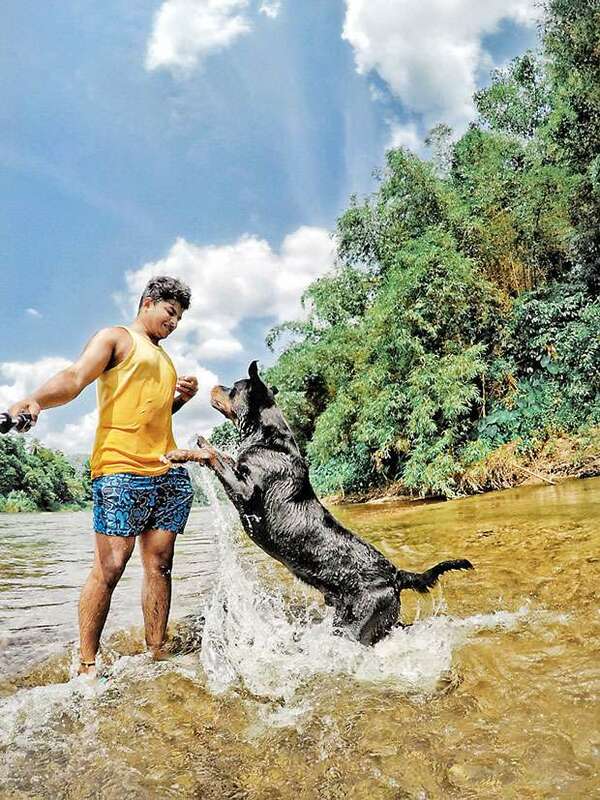 26 year old Ishan Malith, is a young Sri Lankan travel blogger from Avissawella. 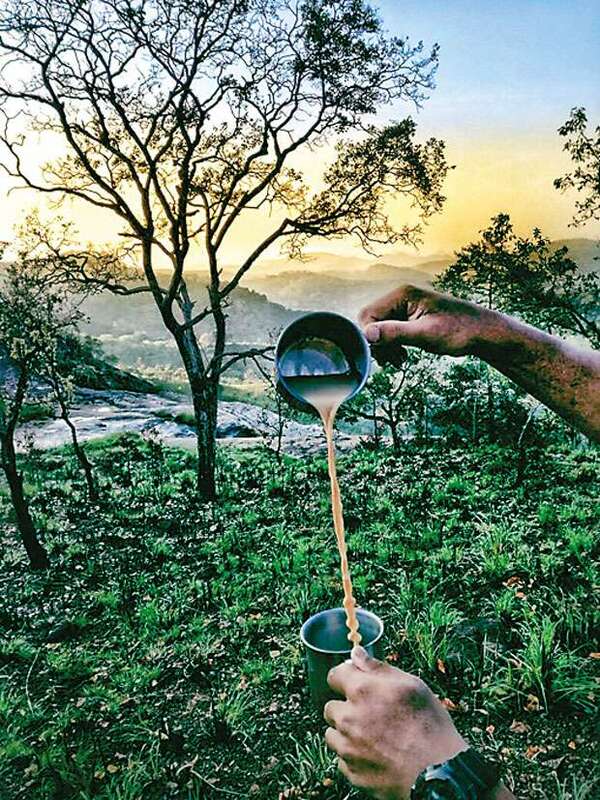 A marine engineer by profession, Ishan has a fascinating feed on instagram where he posts breathtaking photographs from his visits to various places across Sri Lanka and around the world. When you scroll through Ishan’s blog, it is no secret that he is a devoted lover of the environment. Ishan started to travel when he was just 19, but hadn’t thought of documenting his travels until recently. “The international travel blogger Jackson Groves inspired me to step up my blogging game” he says. Ishan has visited 28 countries so far and hopes to visit many more. Asked of how many treks he has taken across Sri Lanka, he says he hasn’t really kept a record. 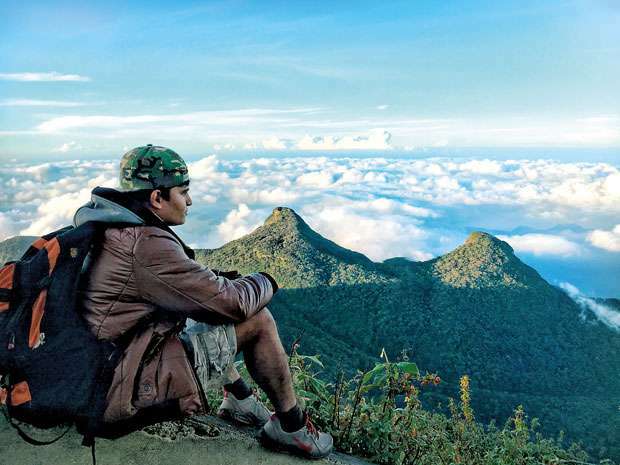 “There are many interesting places in Sri Lanka waiting to be discovered,” according to Ishan. But what makes Ishan different from other young social media influencers, a fast growing tribe in Sri Lanka? The young traveller is also very vocal about environmental pollution. He regularly posts pictures, vidoes and shares accounts on pollution. One of the most disturbing sights he has witnessed during his travels is the polluted stretch of beach in Kalpitiya. “The Kalpitiya area is so polluted and so many sea creatures are in danger because of plastic and other pollutants,” he says. But Ishan doesn’t just stop at sharing photos. The young sailor makes it his personal goal to clean the places where he sets up camp, as much as possible. Ishan however is not alone in his mission. 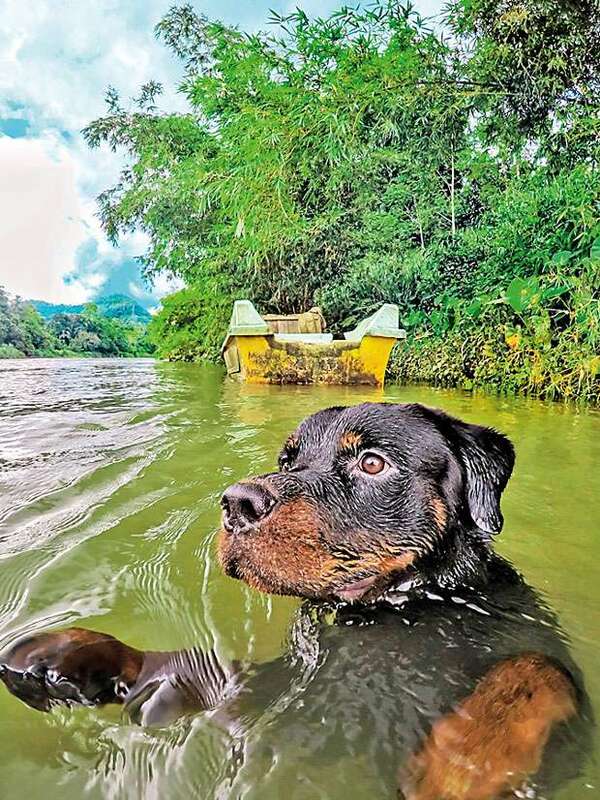 He has a faithful assistant to help him out, Caesar a German Rottweiler. Asked of how he trained his pet to help him, Ishan says smart Ceasar just picked up on Ishan’s queues. “I didn’t teach Caesar to clean. When the both of us were walking alongside a river during one of our adventures, we came across a load of plastic collected on a little delta. I waded across and started throwing them on to the river bank so that I can collect them and try to dispose of it in a less harmful way. It was then that Caesar started to swim across the river with a plastic bottle in his mouth. This was followed by a few more repetitions of the same,” Ishan recalls. After 5 years of travelling and with around 3 years of documenting his trips, Ishan has a message for young Sri Lankans. 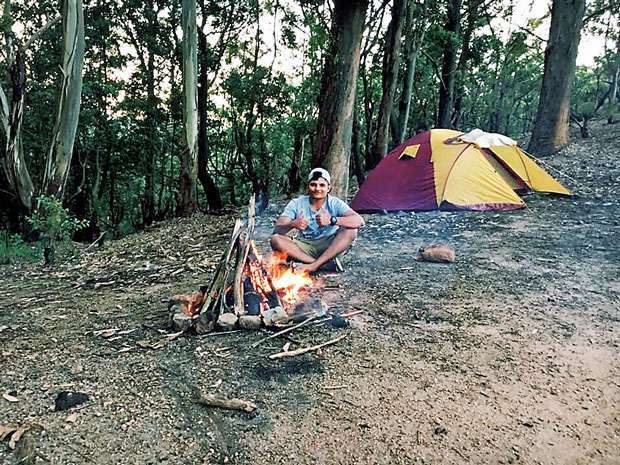 “There has been so much interest for trekking and camping recently. As a result the environment is threatened with so many pollutants. 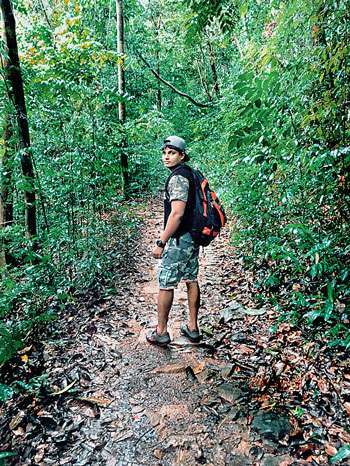 My advice is to travel responsibly and to study sustainable travelling before you do,” Ishan suggests.